SASCO America was established in March of 2012. 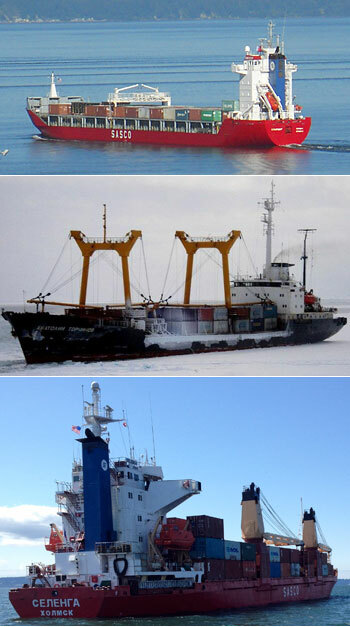 SASCO America is the North American General Agent for Sakhalin Shipping Company of Kholmsk, Russia. SASCO operates services throughout the Russian Far East with domestic cabotage lines as well as international lines from China, Korea and the United States to Russian Far East Ports. SASCO was founded in 1945 and now carries about 60% of the domestic Russian Far East cargo. SASCO ranks as number 78 on the Alphaliner top 100 list of container operators. SASCO is engaged in a continuous vessel upgrade program and offers ice class vessels which allows the line to provide year round service. SASCO America offers through service to all SASCO destination ports and to the Baltic by using major carriers connecting to SASCO Transhipment points such as Busan and Pyeongtaek or direct service to Vladivostok and St Petersburg. Container services are weekly from US East Coast/Gulf and West Coast Ports. In addition SASCO offers RORO and Breakbulk services in cooperation with Eukor Car Carriers and Chipolbrok. SASCO America is headquartered in Seattle/Everett WA. We have a decentralized organization with handling agents and CFS stations in New York, Savannah, Houston and Los Angeles. Accounting is done in Sydney Australia. SASCO America is a paperless operation. All necessary information is located in the “cloud” and shared by all staff members no matter where they are located in the world we all have access to up-to-date documents and information. SASCO America cooperates closely with the SASCO agency network stretching from St. Petersburg in the West to Petropavlovsk-Kamchatsky in the East. Sakhalin Shipping Company is operating as a contract carrier in the US Trade from Everett to Pevek. In addition and to compliment the SASCO services SASCO America holds a license as a NVOCC, FMC No. 023932N. SASCO America is bonded and insured in accordance with Government regulations.